The rural county of Somerset was well represented in Warwick and Warwick’s sale on 23 January. A superb collection of the county, full of social history cards, was broken down into 52 lots, estimated in total at £10,265. The total realisation, including the buyers’ premium was £21,785. 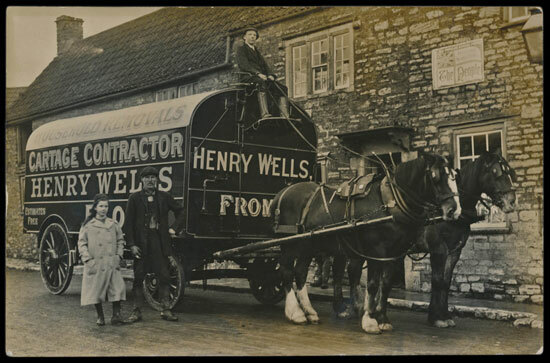 A superb RP close-up of a horse-drawn household removals van in Frome realised £90. Yorkshire was also well represented. Here 33 collections and singles, with estimates totalling £12,396, achieved £13,746. 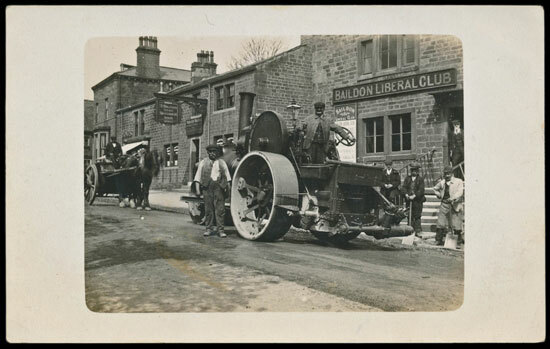 An RP close-up of a steam roller at work laying a tarmacadam surface on the road at Baildon made £50. 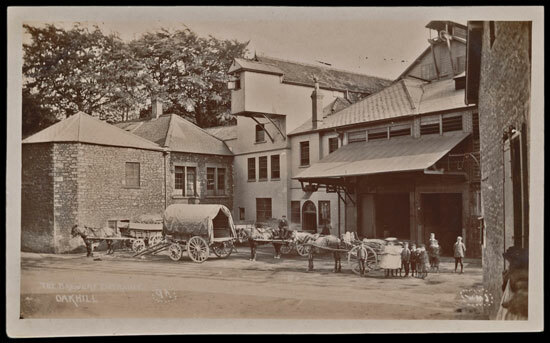 Warwickshire was the third county well represented, where 23 collections and small ranges, with pre-sale estimates totalling, £6,910 made £6,885. The first 3 lots in the sale were mixed GB topos with estimates of £800, £675 and £650. They realised £1,200, £960 and £930 respectively. 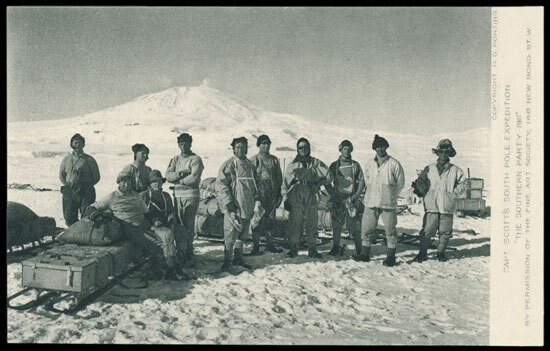 In the subject cards section, a series 1 set of 7 of the 1911 Scott’s South Pole Expedition cards, with message card and original packet realised £180. 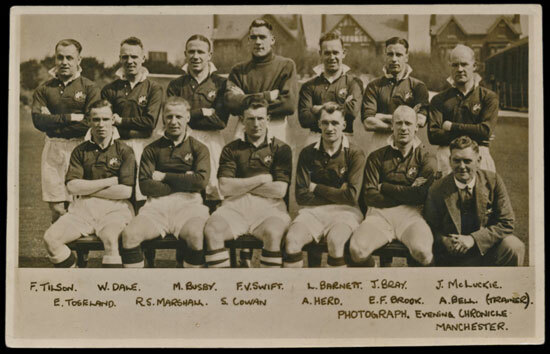 A Manchester City team RP, published by the Evening Chronicle, included Matt Busby and Frank Swift. It sold for £60.